The reason I mention this is because I had some wheat sourdough bread cubes in the freezer that really needed to be used. 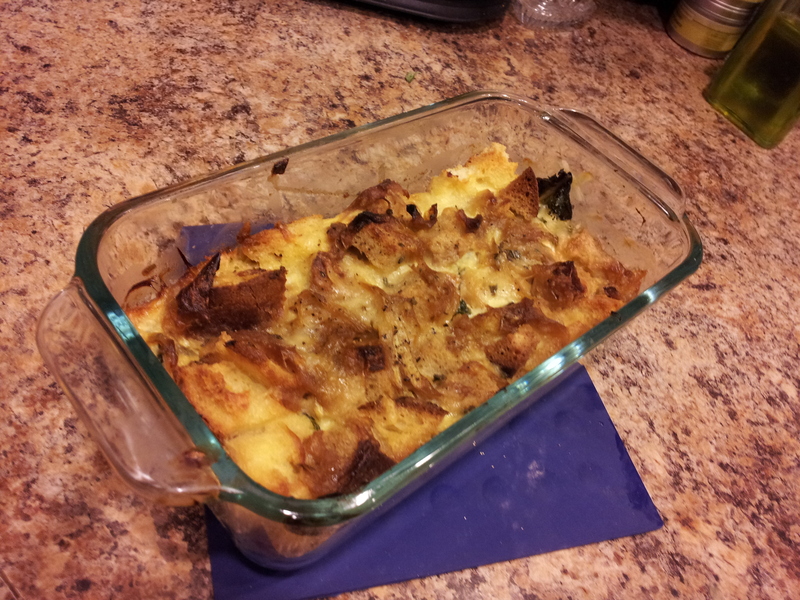 Bread pudding is such a flexible recipe, someday perhaps one day I’ll even be able to make it up as I go along without reference. 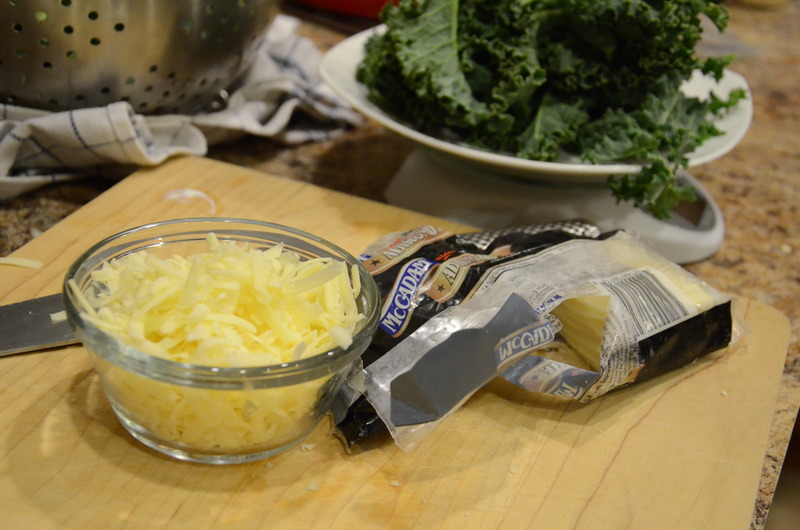 This time I found a recipe from the Tillamook County Creamery that matched up with ingredients I had on hand, plus some greens I had been craving. Perhaps my version will similarly inspire you, but you may feel confident enough to make it your own! I highly recommend planning your schedule to make this recipe the day before you want to bake it. As you can see, you need to cook bacon, toast bread, and sauté greens before you can even assemble the dish to go in the oven. 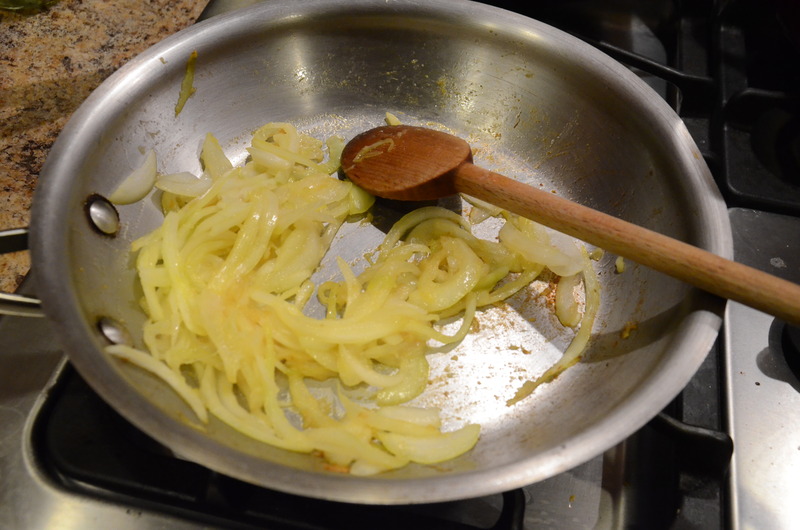 *Having a batch of caramelized onions done in advance will be helpful. Otherwise, you’ll be waiting way too long for dinner to be ready, like I was. 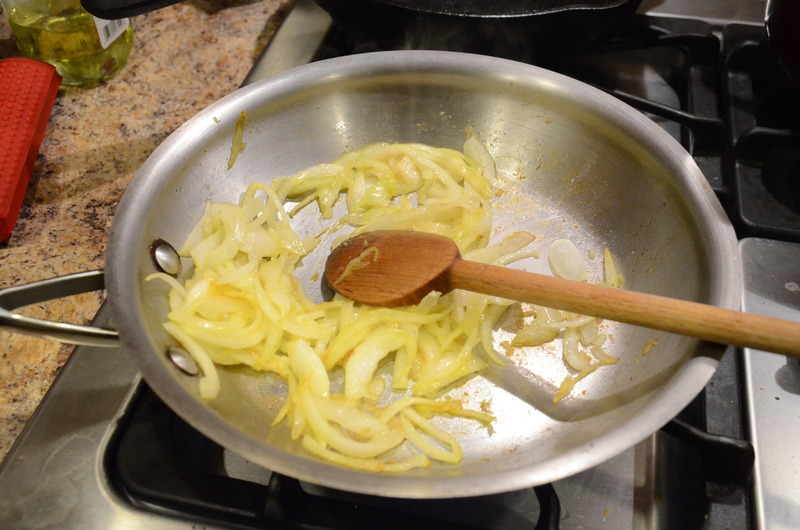 I was starving by the time I was caramelizing the onions via two different shortcuts (they worked fine for the purposes of this recipe, but the onions were definitely more of a weird mushy texture I wouldn’t have wanted to use for anything else). 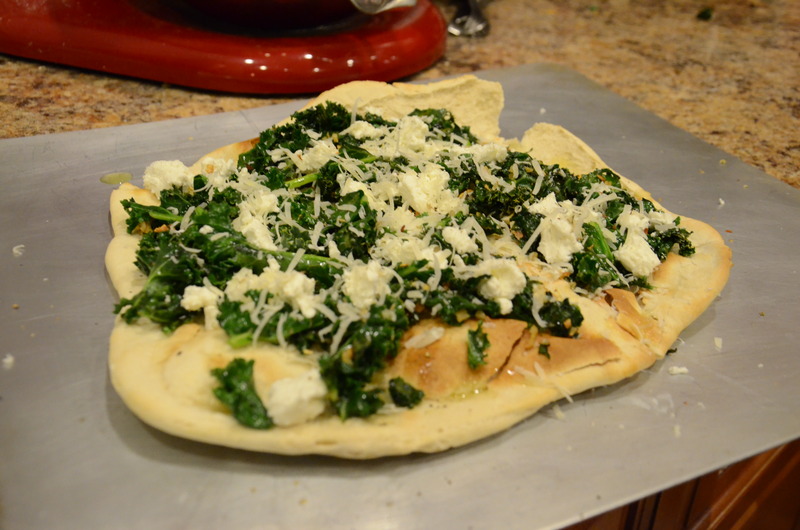 So I made extra kale with garlic and put it on sourdough pizza crust that had been sprinkled with olive oil and parmesan cheese and topped it off with some crumbles of goat cheese. 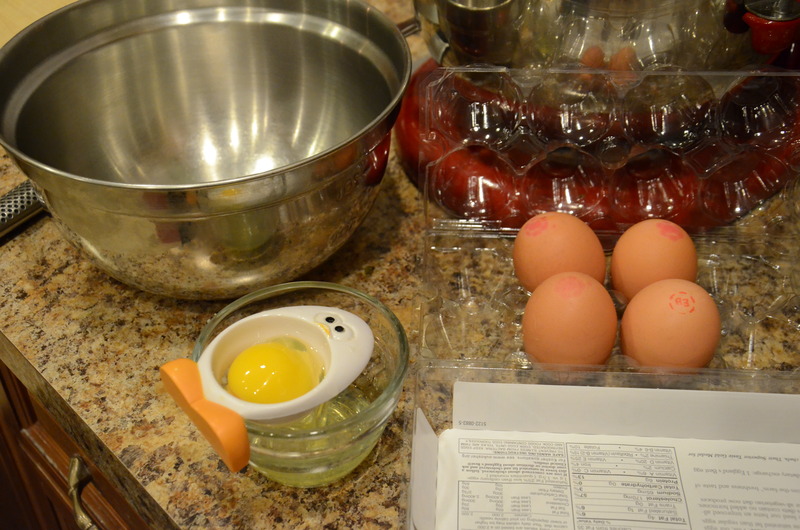 To make the egg mixture, whisk together egg yolks, whole eggs, salt and garlic powder until well blended. Add milk, cream, and yogurt and whisk until smooth. Set aside. 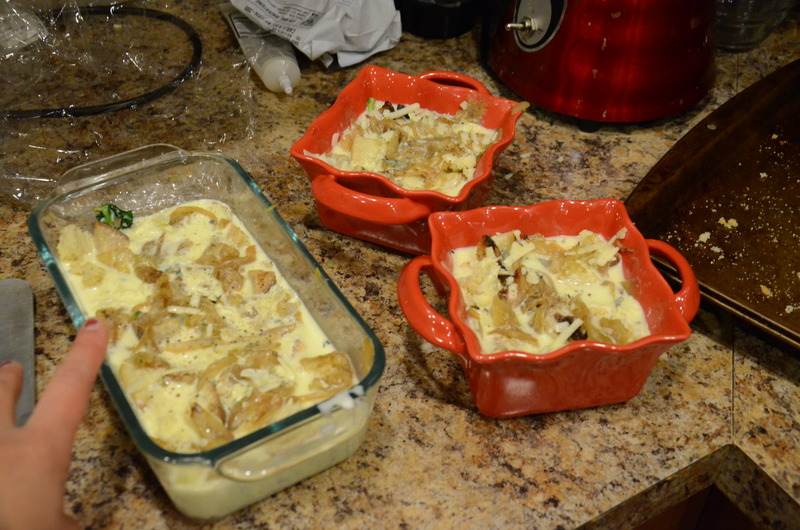 Butter a casserole dish (at least 1.5 quart capacity) or multiple smaller baking dishes. Take half the bread and layer among the bottom of the dishes, then half of the bacon, half of the sage, half of the caramelized onions, half of the greens, and half of the cheese. Sprinkle with ~1/2 teaspoon black pepper. Repeat with remaining half of ingredients, sprinkling cheese and then remaining 1/4 teaspoon black pepper on last. 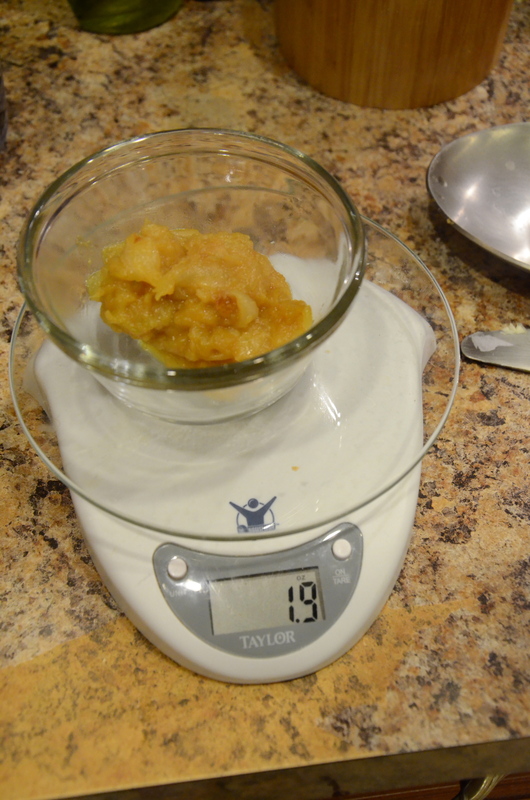 Carefully pour custard over filled dishes, soaking evenly. 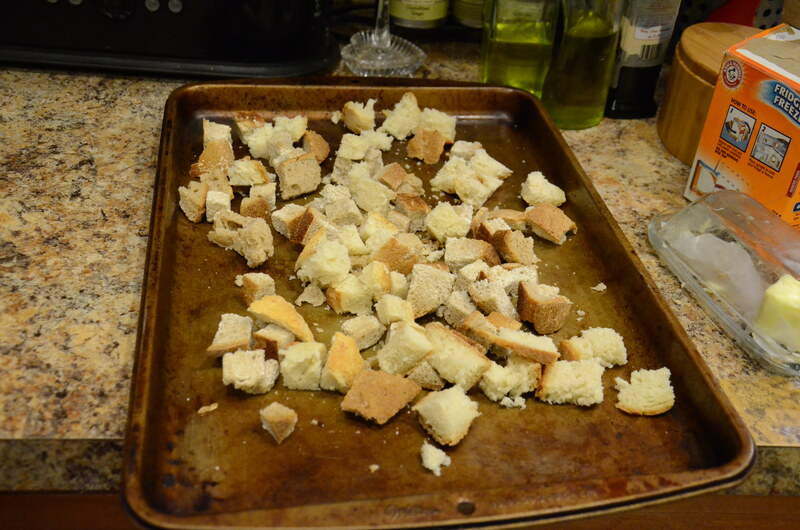 You want all of the bread to be wet, so push down into custard if necessary. Cover dish and refrigerate at least one hour and preferably overnight. Uncover and bake in an oven pre-heated to 325°F for approximately 40-50 minutes, or until internal temperature reaches 157°F or until gently puffed and lightly browned. Allow to cool slightly, then scoop into bowls to serve; serve warm. Pictures–especially ones taken with my cell phone camera because I am too hungry and excited the next day to get a real camera–don’t do this kind of comfort food justice. Eat up! 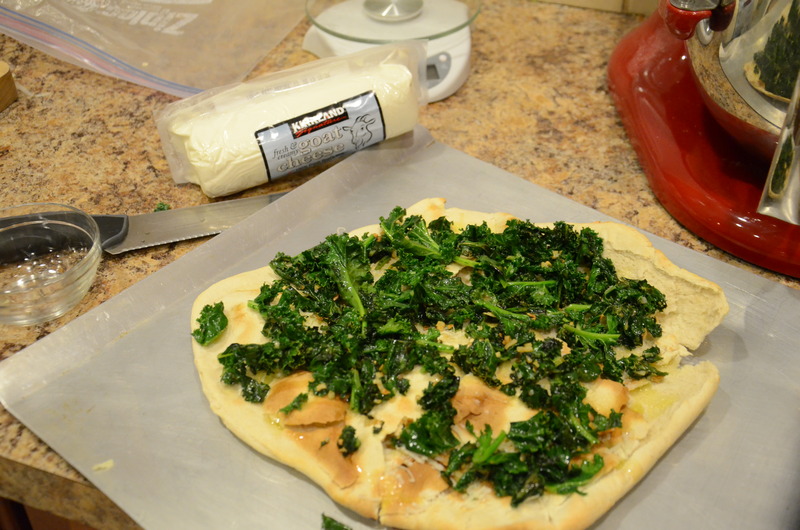 This entry was posted in Breakfast at dinner, Kale, Make-ahead, Recipes. Bookmark the permalink. I really enjoyed the leftovers! They are all gone now.